Like an annoying bluebottle, one question sooner or later filled the room. I do not remember any interview in which it didn’t pop up at any time. “Who are your influences?” Humiliating. We were rather recognised as utterly authentic performers. That we had adopted the fretless bass and the marimba more or less simultaneously with Japan was a pure coincidence. And yes, Joe Jackson used widely fanning piano chords, like we did, but why were we then automatically influenced by him? Had the interviewer never heard of synchronicity? Of course, as individuals, we each had our musical heroes. But together, as The Dutch, we were unique. Or so we thought. And we tried to get that message across without sounding arrogant. We noticed the interviewer frowning. By definition, Dutch bands stand at a disadvantage compared to the British and American competition. Obviously, they are by no means epigones, but surely they must be influenced in one way or another. Sure thing. Thus, these interviews often ended in a somewhat awkward atmosphere. The journalist wanted to make connections, establish a context, give his readers some idea what kind of band he was writing about. We on the other side were hoping for nothing less than a unique place in the history of music, and public recognition of our absolute originality. Quite a lot has changed since then, but this remained the same. When you create a band profile on Facebook, ReverbNation, Gigstarter and other websites, you inevitably encounter that annoying bluebottle again. Shamelessly the words are there, among all those other questions. In fact it is more a command than a question: “Enter your influences.” It strikes me that Facebook’s algorithms do not suggest and pre-fill influences, based on the profiles of our Facebook fans: “Japan, Joe Jackson.” So that you do not longer need to type it in yourself. To make life easy. Those answers are not at all meant for our Facebook friends. Correct me if I’m wrong, but think hardly anyone clicks the “info” button. Those answers are meant for Facebook itself. So that you can be classified, just like they classify everything and everyone. 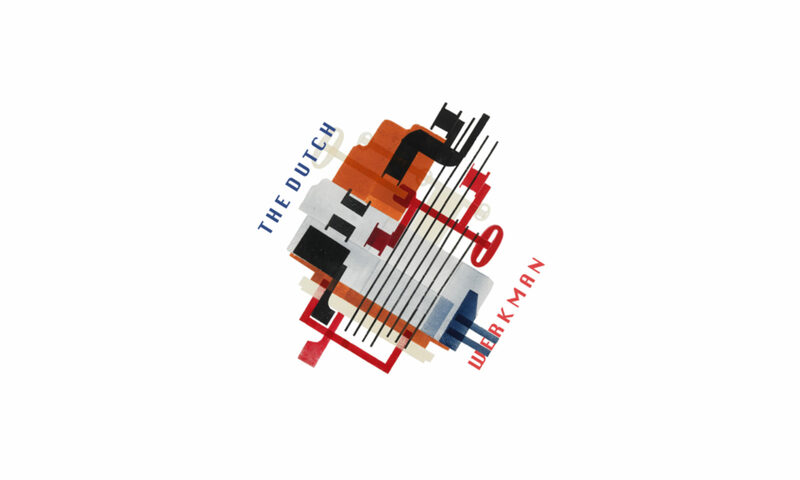 The more content we share with Facebook about The Dutch, the better they are able to map the band in a particular niche. Now let me tell you, although we obviously find ourselves unique, I admit that I am quite curious in what point cloud The Dutch is floating around. I hope of course that we find ourselves in a cheeky and quirky corner, along with awesome bands such as XTC, Blur and Arcade Fire. But I’m not quite confident. Suppose that our fans happen to be also interested in Spandau Ballet, then just like that we are beside those creepy guys in one Facebook corner. 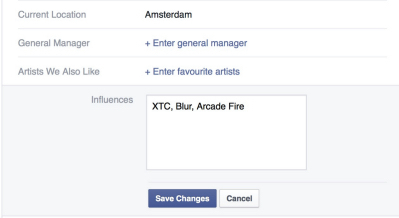 Maybe we can avoid that horrible fate somehow by giving in to our principles and typing in “XTC, Blur, Arcade Fire” in the “Influences” box. And so, even a completely original and unique band like yours truly is tackled by the online sectarianism that rules the social media¹. ¹ For our fans from non-European cultures: this is meant to be tongue-in-cheek, not priggish.